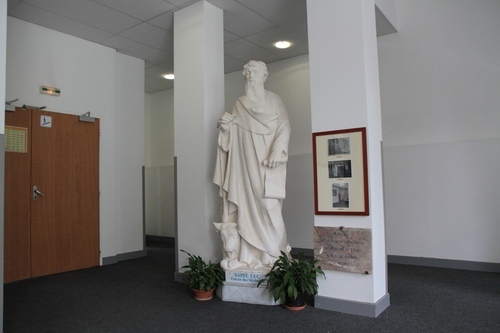 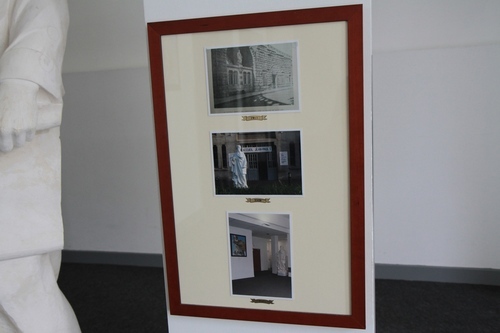 This plaster statue of Saint Luke can be seen in the entrance hall of the Bureau des Constatations Médicales in Lourdes. 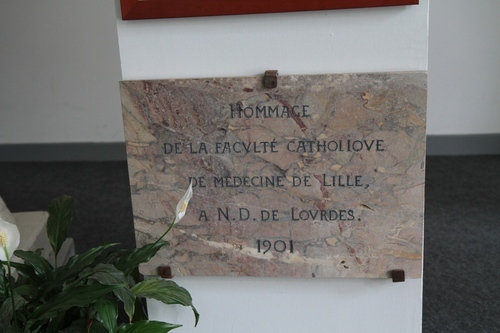 It was donated in 1901 by the school of Medicine of the Catholic University of Lille. 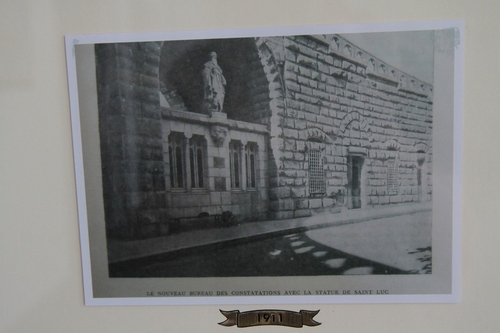 Initially, the statue decorated the original rooms of the Bureau under one of the arches of the right ramp leading to the Upper Basilica from the Rosary Square.